I can’t believe it’s already Thursday – the week has FLOWN by for me. I have a new project in the works, and I’m so excited to share it with all of you. There was a “soft launch” last week with some nutrition clients trying it out and providing feedback, so I hope to launch it to the public in the coming weeks. I’m seriously so pumped about it! 🙂 Anyway… I know you guys love a good What I’m Loving Lately blog post (and I do too! ), so let’s get right into it! Matching holiday pajamas from Target – When these matching holiday pajamas popped up in my Facebook feed, I was ALL about them! I mean, there’s matching DOG pajamas too. I waited a couple of days to actually purchase them, and a lot of the styles are already SOLD OUT. Ughhh! I ended up buying the ones below, so if you’re interested in matching pajamas for your family (AND pets) from Target, be sure to hop on it sooner than later! Chemicals in beauty products could harm women’s fertility or cause breast cancer, new study finds – The takeaway from this study is that we may need to be careful about the chemicals in the beauty and personal care products we use, which is why I’m such a supporter of Beautycounter, its products, and mission. If you want to learn more about Beautycounter and stay in the loop about deals and promos, be sure to sign up for my email list! 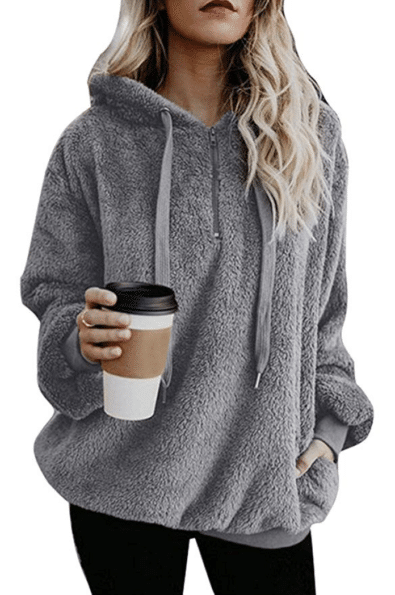 Yanekop Womens Sherpa Pullover Fuzzy Fleece Sweatshirt – Can we talk about this pullover? NEED. I feel like this is something I would wear every.single.day. It looks SO COZY, and I’m such a baby when it comes to winter. Bonus: It’s priced right at just $18! FREE Self-Care Guide to Balanced Hormones – This was AWESOME! It’s from Magdalena Wszelaki, who I’ve blogged about in the past – if you’re not on her email list, make sure you sign up! 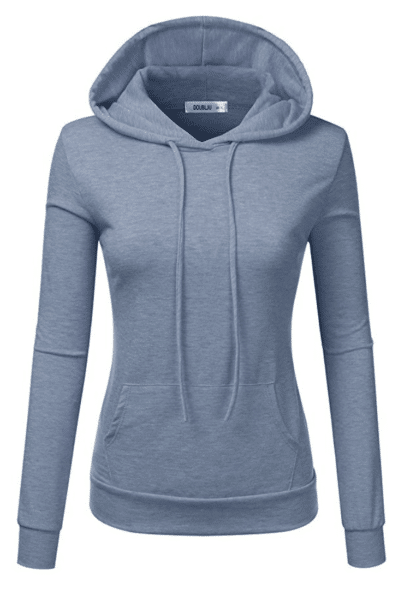 Doublju Basic Thin Pullover Hoodie Kangaroo Hoodie – Loving this hoodie! And it’s only $21 and comes in 15 different colors. Sign me up! Why Am I Always Hungry, Even After I Eat? – What does it mean if you frequently find yourself wondering, “Why am I always hungry?” It could point to leptin resistance, a problem that can be addressed with simple diet changes. Overnight Resurfacing Peel – I’ve shared this product a couple of times on the blog, but it is seriously a-mazing. It’s probably the best product that Beautycounter makes, and it’s truly changed my skin in the past few weeks! 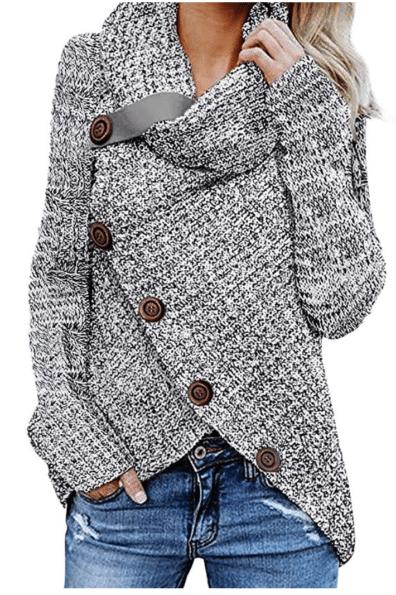 Asvivid Women’s Chunky Turtle Cowl Neck Asymmetric Wrap Sweater – I know that I just blogged about this sweater the other day, but it deserves another mention. I’m obsessed! Getting Rid of Cellulite Is Tough. But Here’s What Works Best – This was an interesting article! 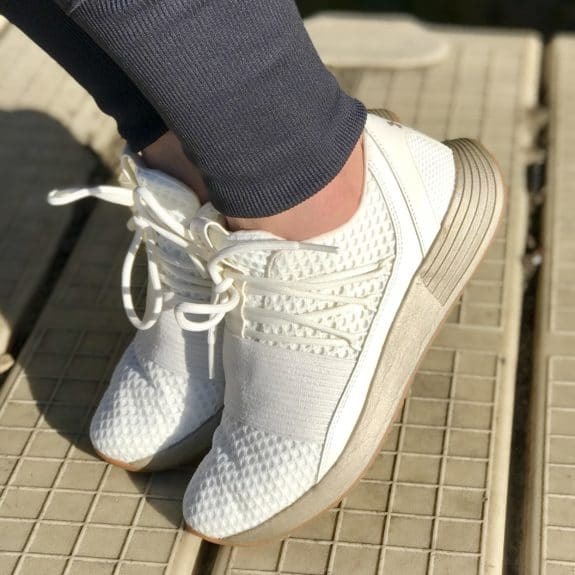 UA Breathe Lace Women’s Sneakers – I am so IN LOVE with these sneakers. They’re so pretty, right? I picked Ivory and Metallic Faded Gold, but there are also 5 other color (beautiful) combos to choose from. I’ve been wearing them a ton for the walk challenge – and what can I say, when I’m wearing cute sneakers it motivates me to move more! Why You Should Think Twice About Vegetarian and Vegan Diets – Great article from Chris Kresser. He doesn’t bash vegetarian or vegan diets; he just points out that nutrient deficiency is a huge issue. Does your family do the matching holiday pajama thing? It’s a first for the Hauperts!